The causes of patellofemoral syndrome are often multifactorial and may be due to excess weight, roughening or softening of the cartilage, trauma, or imbalance of quadriceps muscle strength causing improper alignment. Symptoms of front knee pain: Patients often complain of pain around and behind the knee cap (sharp or dull). Pain is common with going up or down stairs, kneeling, and squatting. The treatment for this condition is most often treated conservatively. 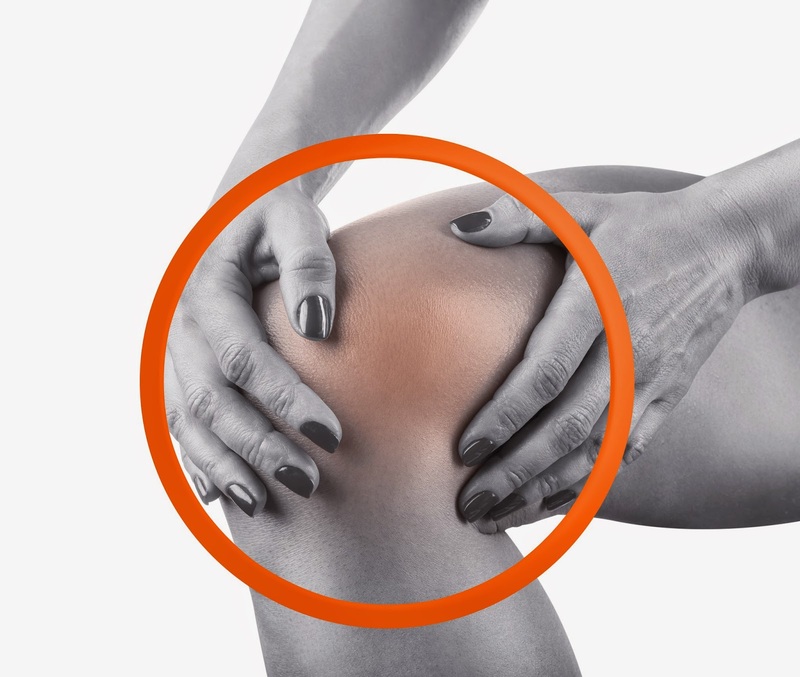 Those who are experiencing this knee pain can try modifying their activities to avoid things that aggravate their symptoms such as kneeling or squatting for long periods of time. They should avoid exercises that load the front part of the knee like squats, leg extensions, and deep knee bends. For those who enjoy biking: make sure that the seat is at an appropriate height so as to allow a slight bend in the knee at the lowest part of the pedal stroke. Too high or too low of a seat will cause poor mechanics and can cause further injury. Patients can also try ice and rest, Ibuprofen or other NSAIDs, taping or a knee brace to better stabilize the kneecap. Physical therapy is an initial form of treatment for this condition. A physical therapist will instruct in stretching and strengthening exercises that will help better condition the muscles around the knee.